Hispasat 30W-6, formerly known as Hispasat 1F, is a multi-mission satellite built by SSL for Hispasat to provide service in Europe, North Africa, North America and South America. It will replace Hispasat 1D at 30° West longitude and will provide service for television, broadband, corporate networks and other telecommunications applications. 48 Ku band transponders, which serve three coverage areas: Europe and North Africa, with coverage on the Iberian Peninsula, the Balearic Islands, the Canary Islands, the Azores, Cape Verde and Madeira; Mauritius, Morocco, Mediterranean countries in North West Africa and the large part of the European continent visible from 30º West; The Americas, with coverage from Canada to Patagonia, not including Brazil. ; South America, with coverage over the large part of the continent, especially in Brazil. 10 C band beam, with coverage of southern USA, Caribean sea and south America..
Additionally it carries a photonics experiment by DAS Photonics that will examine the use of photonics for data routing within the vehicle. 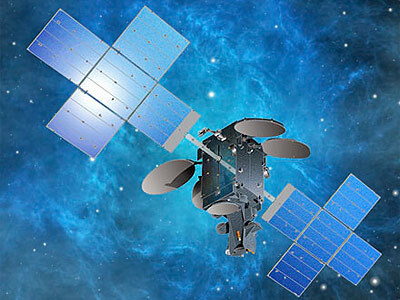 Hispasat 30W-6 is based on the SSL-1300 satellite platform that provides the flexibility for a broad range of applications and technology advances. Scheduled for launch in 2017, the satellite is designed to deliver service for 15 years or longer. Hispasat 30W-6 carried NovaWurks' small PODSAT 1 satelliute on board, which was seperated in geostationary transfer orbit from Hispasat 30W-6. The satellite was successfully launched in February 2018 on a SpaceX Falcon-9 v1.2 rocket.